Villa Cayo Saetía offers the visitor a reception 24 hours and personal multilingual, safe, desk of tourism, services medical 24 hours and national and international telephony. For the enjoyment of drinks and liquors it has a bar. 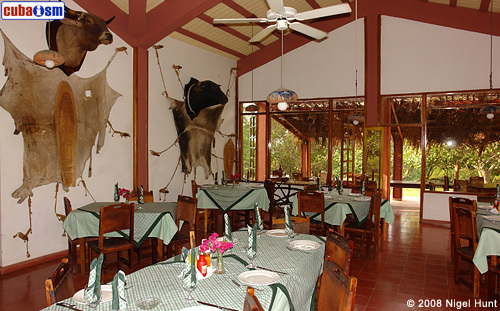 "Villa Vigia" restaurant specialized in exotic meats and Creole food. Here you can taste a wide variety of plates elaborated with the animals that have their house in Cayo Saetia, to which sink fish and shellfish captured in the waters that surround it. 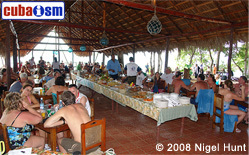 Restaurant Barbecue in the Beach serves a buffet with a good selection: breads, rice several meats & stews of meat of exotic animals. 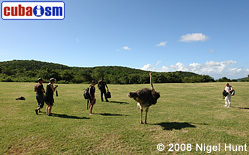 It is a point of common concurrence among the guests of the small village and the excursionists arrived from Guardalavaca or other destinations. For the entertainment Villa Cayo Saetía reserves them a room of games, television room, a souvenirs Store, billiards tables and to relax muscles and tensions after long and exhausting days it can have services of massages. For the lovers of the diving there are also offers, because a coralline barrier skirts to Cayo Saetia, the same one that is located in the north coast of the oriental Cuban county of Holguín. 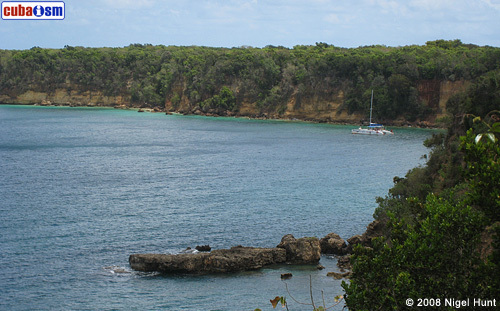 The dilute transparent, fine sand and a coast where rocky formations prevail they offer a singular attractiveness, with diverse shades of colors in the 12 beaches of the island and that they constitute an exclusive show of this place. 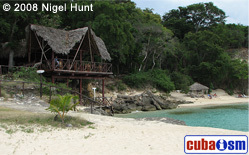 The Cayo Saetia Park, with its 42 kms allows the ecotourism practice, hiking, adventure tourism. 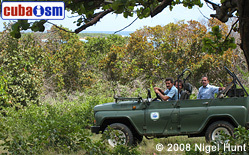 In specially vehicles paymasters are organized picture safaris to enjoy the abundant introduced endemic and exotic fauna. 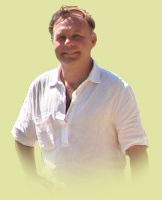 The lovers of the hunt can also enjoy the biggest limit of domestic hunt, always low supervision and control of the authorities.